Offering Top Search Engine Optimization that will INCREASE Leads and Sales! We provide comprehensive 60-day, 90-day, and 120-Day local SEO campaigns that get results in driving traffic and building brand awareness with targeted audiences. Search engine optimization (SEO) is the life-blood that steers prospective clients and/or leads to your business website. By properly marking up, your website, we can assist by turbo-charging your website with optimized content for highly targeted prospects to help with conversions. Need help with local SEO service? 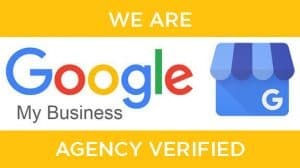 We specialize in Google My Business (GMB) SEO offering 60-day, 90-day , and 120-Day Custom Campaigns to help deliver local leads to your business month after month.